After some tsunamis warnings have been lifted after the magnitude 7.9 quake in Alaska this morning a new threat is already asserting itself, after-shocks. 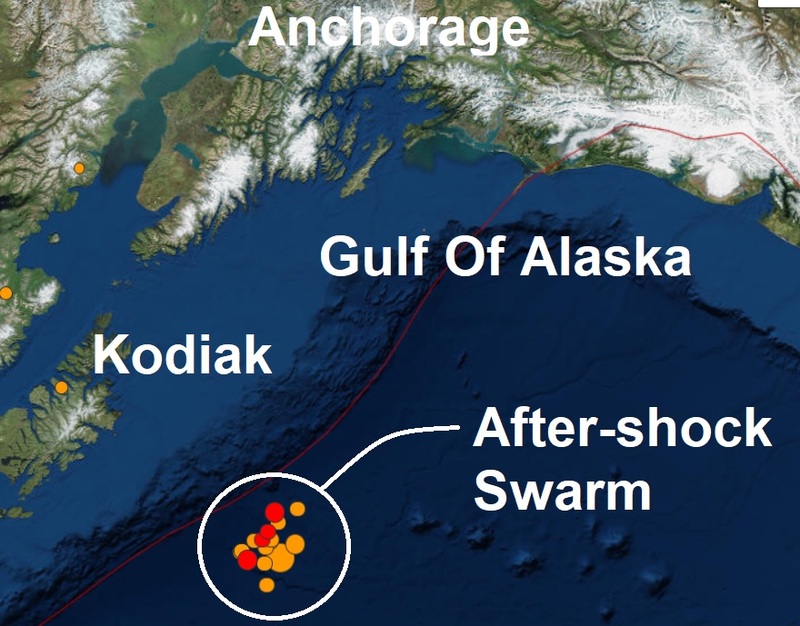 After-shocks are now rattling the Kodiak Island area, a total of 22 after-shocks and rising, since the original quake have now been recorded with the biggest being a mag 5.7 quake just two hours after the original. As we saw with the mag 9.0 earthquake in Honshu Japan in 2011 after-shocks can be just as damaging as the original quake, the Honshu quake which brought down the Fukushima nuclear plant suffered more than 70 aftershocks over the mag 6, with many in the mid mag 7's. The Alaskan's will be well prepared however, for such a barrage.